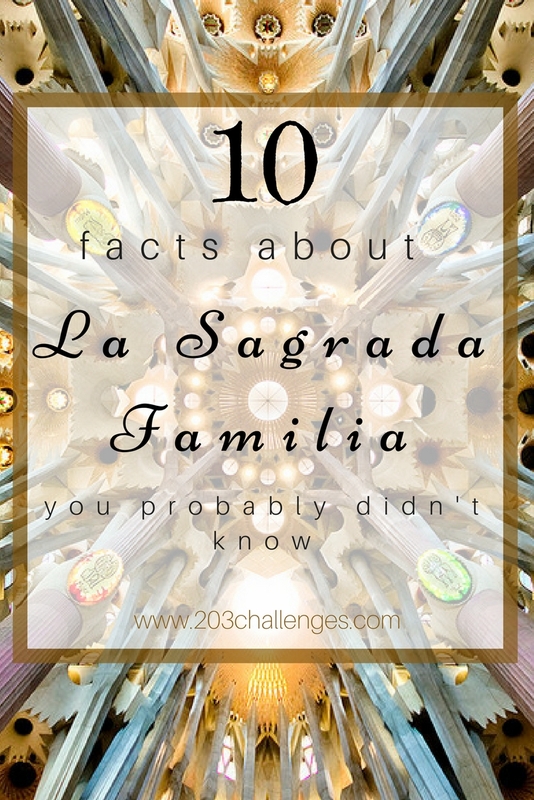 #1 The construction of the Sagrada Familia started in 1882 and is expected to be finished by 2026 (144 years), which means it will have taken five times as long as it took to build the Egyptian pyramids or the Taj Mahal. 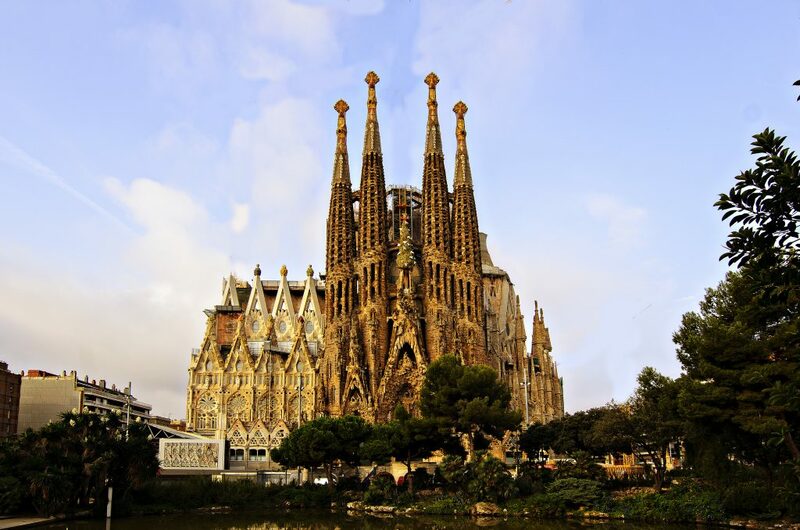 #2 Gaudi believed that a human’s work should never exceed the work of God, which is why the Sagrada Familia is projected to be a foot shorter than the highest natural point in Barcelona. #3 It was built entirely on donations. And that’s the reason why Gaudi wanted it built one part at a time, so that people could actually see how it would look and be inspired to give more donations. #4 The Sagrada Familia currently has eight towers. 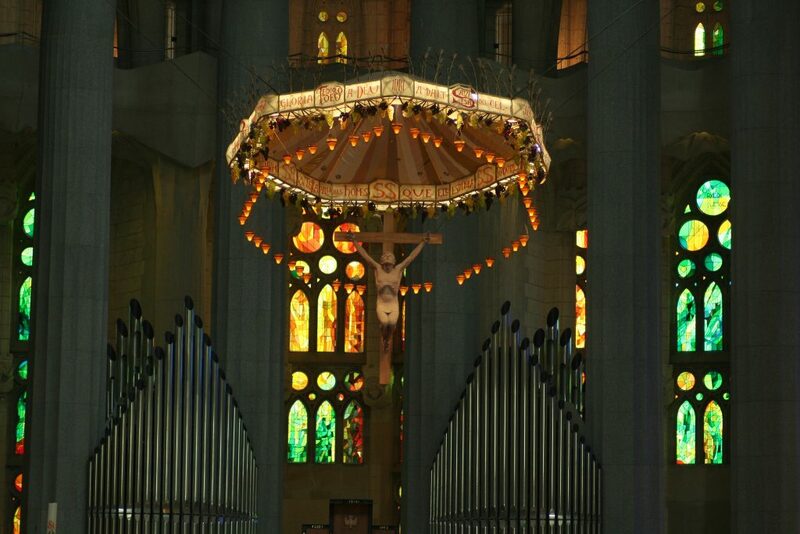 However, by the time it is finished, it will have 18 – the tallest one representing Jesus, another one for the Virgin Mary, four for the evangelists and 12 for the apostles. #5 Gaudi’s work was largely inspired by nature. Evidence of this can be found in the columns inside the Sagrada Familia, which are built to look like trees with twisting branches. At the base of one of them there is a turtle, and on another one a tortoise, which symbolizes the balance between sea and land in nature. #6 To sculpt the faces on “The Portal of Mercy”, Gaudi used death masks of deceased people from Barcelona and models of the workers’ faces. It was his way of paying tribute to them. #7 The mosaic on the roof of the church is designed to guide seamen back home by reflecting the moonlight, thus turning it into a kind of lighthouse. #8 During the Spanish Civil War in 1936, Gaudi’s workshop – where the models used to build the church were stored – was bombed. The workers managed to restore the models and use them in construction, but only with the help of an architect who was hired specifically for the restoration. 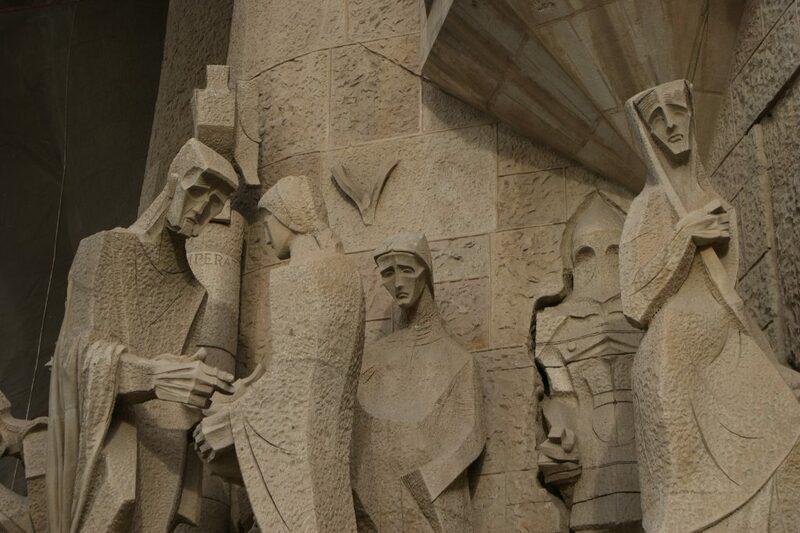 #9 The two people buried in the crypt are Gaudi and Josep Maria Bocabella – the bookseller whose idea it was to build the Sagrada Familia, having been inspired by the churches he saw in the Vatican during his visit there in 1872. #10 George Orwell, one the most famous English writers of the 20th century, said that the church is ”one of the most hideous buildings in the world”.